Looking for a Special Way to Celebrate the Arrival of Your New Baby Boy? Monogrammed Baseballs by Urban Farmhouse make a beautiful display piece in any nursery. 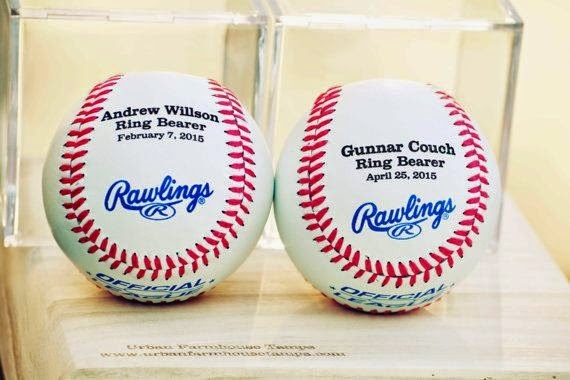 Each baseball is stunningly engraved with Typography Font. The Rawlings Baseball is made of genuine leather. The laser engraved announcement is completed with precision and it’s text is crafted with deep, clean Lines. It takes about ten business days for Urban Farmhouse Tampa to complete your masterpiece Birth Announcement. Due to the nature of items they sell, personalized items are final sale. The Urban Farmhouse has many different personalized options. Be sure to check out their Etsy Store. Your baby’s birth information will be prominently displayed on a fully functional Rawlings Baseball. Since 1977, Rawlings has been the Official Baseball of Major League. This birth announcement would be perfect for Grandparents, Relatives, and a Special Display Piece in the Nursery. “Oma Loves U!” has teamed up with Urban Farmhouse Tampa to conduct a giveaway for her blog readers. 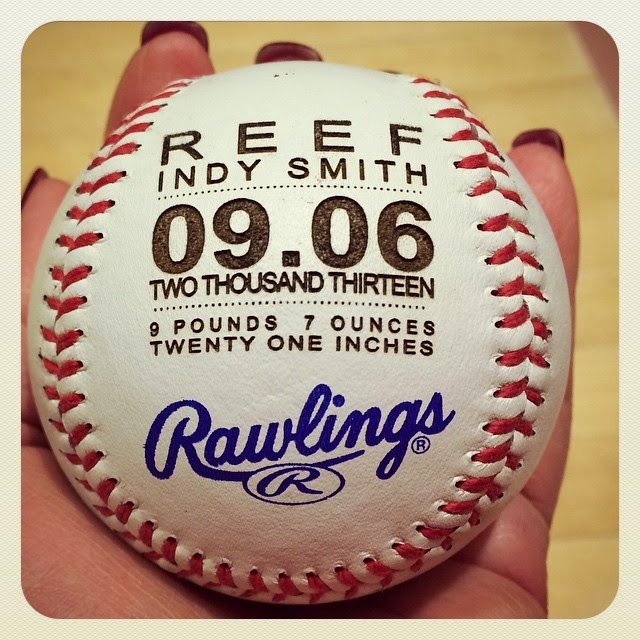 One lucky fan will win a Personalized Birth Announcement Baseball (ARV $22.00). I just had a new grandson born in February. This would be perfect for him. We have a brand new grandson "Caulder" who was born last week. This would be perfect for him! It would be for my grandson who is due in May. This would be for my daughter that is expecting her first baby boy! It'll be for our daughter. I was looking for personalized gifts ideas from so many days and here I got so lovely ideas. I am going to attend my friend’s baby shower party after attending my official party at corporate events NYC. I am going to gift her such unique things, and I am sure they are gonna like them. I love my baseball -- It is great!